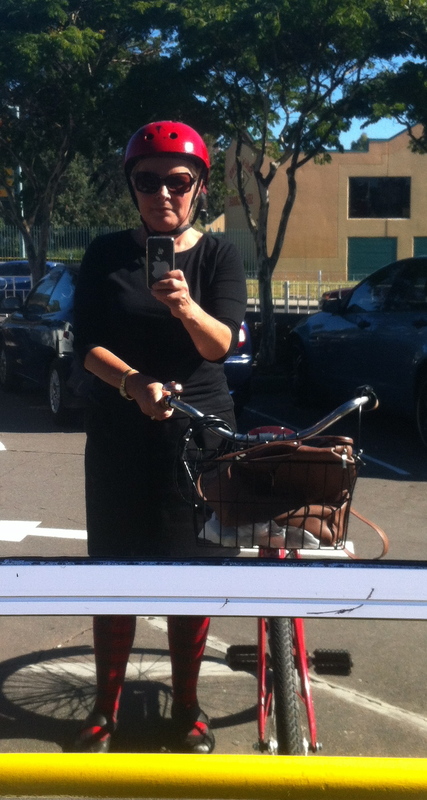 Cycling in a skirt and tights is pretty much the most comfortable way to cycle around town I have found. These photos were taken to illustrate some of the drawbacks and to highlight some strategies which can be employed with wearing a skirt. 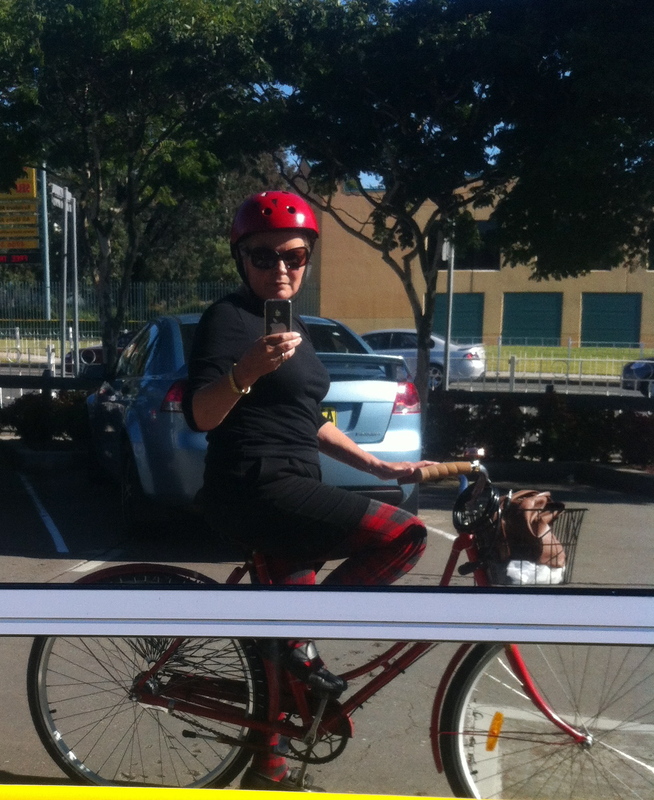 You can see from the photos that even though my skirt is long enough to be quite modest, once I am on the bike it rides up a bit, which is why I employ the “front basket as figleaf” strategy I read about on the internet … Unfortunately, the aluminium strip in the window I used to take this series of photos does nothing to enhance the educational value of the photos but hopefully they still convey what I mean. All I have to do is fill my front basket with shopping to provide enough coverage, with a wicker basket even this would not be necessary. You can also see the wonderful weather we are enjoying here at the moment, just days off winter …. This entry was posted in accessories, Newcastle, Street cyclist, Uncategorized and tagged bike commuting, cycle clothing, newcastle. Bookmark the permalink. Vicki – The tights should be enough coverage too, right? I love wearing skirts and tights. In the summer I wear lycra shorts beneath the skirts for my coffee shop jaunts. It gives us girls some flair. I agree Annie, the tights are pretty much enough, mostly. I think the Mary Poppins effect comes into play here too, I never get passed too closely when I am wearing a skirt! …..just when I thought Apple had created some new type of reversible lens!Great pics. Thanks Ian, they were taken in front of an NAB bank window with reflective stuff on the glass, I wonder what the employees inside thought as I took those photos?